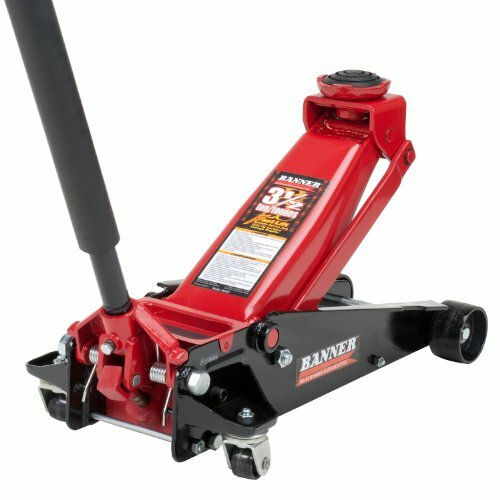 Blackhawk B6350 Service Jack is a 3-1/2 ton (7,000 lbs) capacity service jack that features the unique design of fast list technology to fast lift to the jacking point with no load. It features the swivel saddle that provides you with the easy jack positioning and user safety. Its heavy duty steel construction also provides you the safe use and long term durability. Blackhawk B6350 Service Jack also features the bypass device that preventing the damage from over pumping. Blackhawk B6350 Service Jack also features the built-in internal safety valve and vent plug to ensures the safe operation. Blackhawk B6350 Service Jack is backed by the full one year warranty from the date of the purchase. If you have any questions about this product by Blackhawk, contact us by completing and submitting the form below. If you are looking for a specif part number, please include it with your message.